When articulated vehicles turn, any spiral coils running from the truck to the trailer will be stretched or squeezed as the vehicle corners. A Nexus® Boom is a swinging arm that pivots as the trailer articulates to minimise the stretch in the coils, thereby prolonging their active life. Nexus Booms are engineered to our exacting standards to give you excellent value for money over the lifetime of the product. The boom arm is supported by a rugged bearing assembly and pivots from a bracket mounted in front of the fifth wheel plate. The cables carrying the air, electrics and other services are connected through the chassis of the vehicle, passing along the Nexus Boom and on to a distribution plate. On the trailer side, the connection is completed using standard air 'C' couplings and moulded electrical plugs. 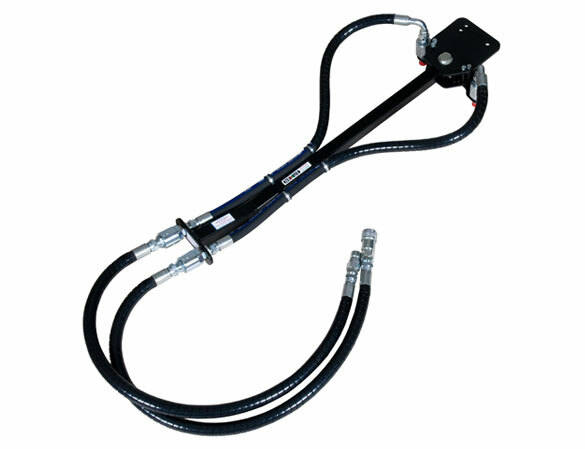 If used with a Nexus Trailer Slider, the driver can connect the services from ground level when coupling and uncoupling. All Nexus Boom models are supplied fully assembled and powder coated. 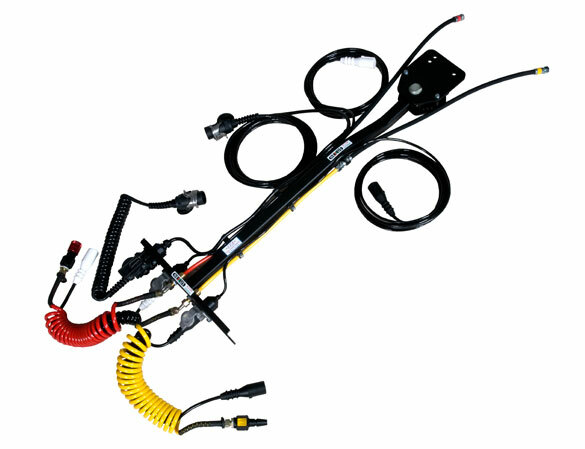 A fitting kit is included to attach the boom to your particular truck, along with sufficient electrical cable and nylon air tubing to connect your particular combination of truck and trailer.